This glamorous Swimsuit is the perfect piece for your next pool party. 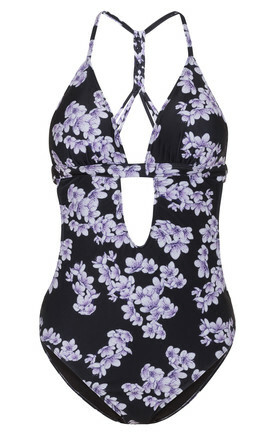 It features a black base blossom print with a macrame plaited back strap. Cup sized and with removable pads - this one piece is great for smaller and fuller busts!